This cake used the most variety in ingredients! There are actually 3 different cakes: gluten-free yellow cake (top), normal yellow cake (middle), and chocolate cake (bottom). They all use peppermint buttercream, but the green fondant is vanilla and the brown fondant is chocolate. I also used gumpaste for the figures this time instead of using fondant for everything. I liked that gumpaste dried harder, which seemed better for the figures. 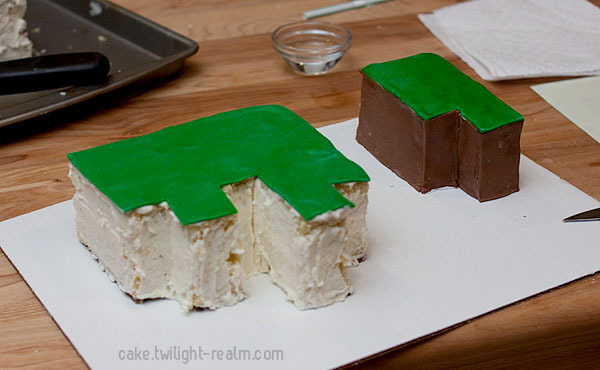 Before starting on the cake, I mocked it up in Minecraft’s creative mode, and then transferred the dimensions to graph paper to use as a guide for carving. I started on the gumpaste figures early, before even baking any of the cakes. I started by making each of the figures in parts. I used icing coloring to “paint” them. I watered down the coloring until I got the color I wanted. I went for the uneven painted look to mimic the uneven pixelated look they have in-game. The smaller details (like eyes) were done with food coloring markers that have thin tips. Next, I carved and crumbcoated the pieces for the hill. I did the layers separately, and they are placed on cake board that was cut to the same shape. 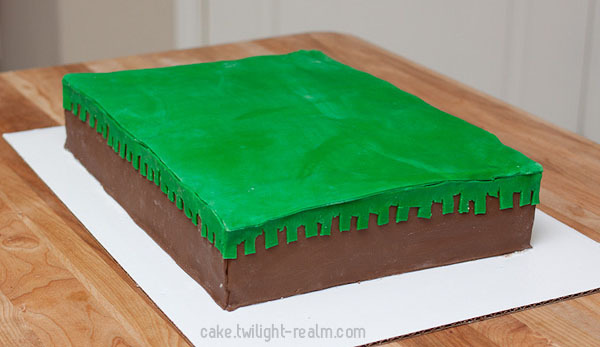 I covered the cake differently than usual to make sure I got sharp edges and corners. 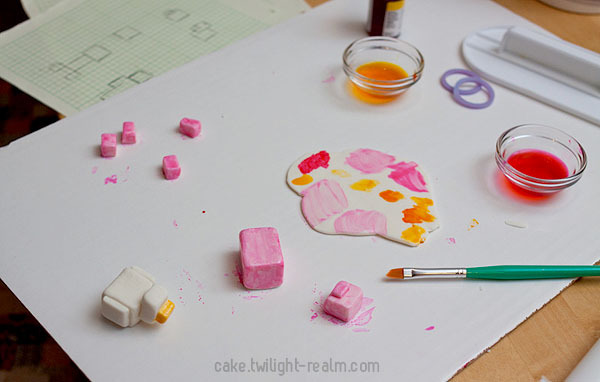 I did the top first, then each side was a separate piece of fondant. I only covered the tops and front though, then I stacked them. 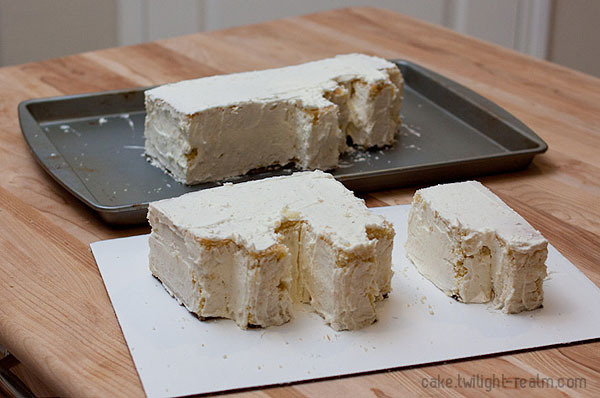 Once stacked, I could use larger pieces of fondants to cover the sides and back together. 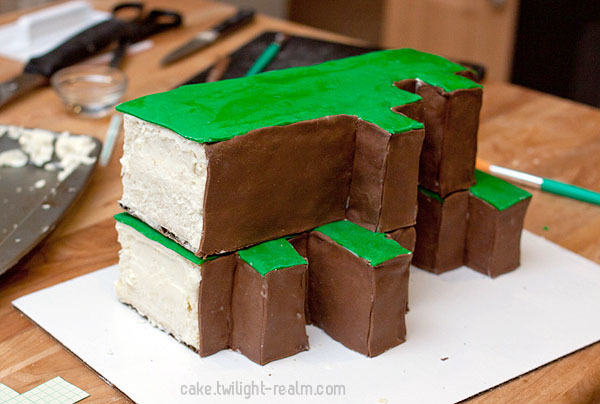 To finish off the Minecraft look, I added the pieces of grass on the side. I just freehanded the pattern with a small knife. 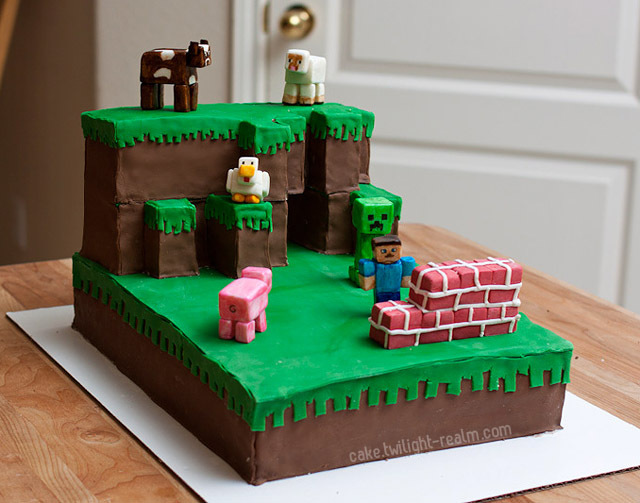 The main cake is really simple. It’s just a rectangle and covered in the same way. I don’t have photos of this, but there are plastic tubes in the cake towards the back. It’s extra support for when I put the hill on top. Then… the rest of the cake comes together! The hill and figures are just placed on top. I didn’t need to use frosting or sticks to keep them on. thanks for posting this up! 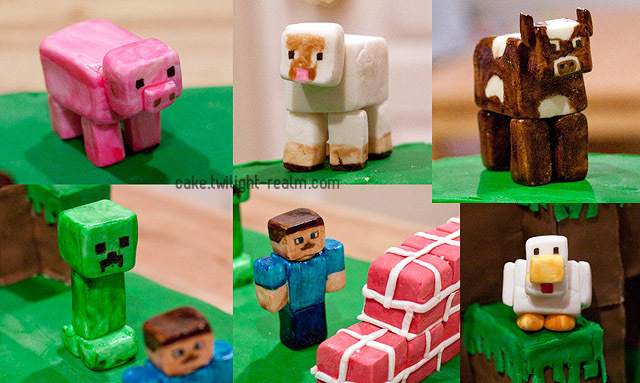 Im making a minecraft cake for my nephew and the characters kinda scare me… so square… lolll. did you shape the squares yourself or did you use some kind of tool? they look great! Thanks! I shaped the pieces myself. I got them into about the right shape and size by hand, then I pushed each side onto a cake board until they became a flat surface. 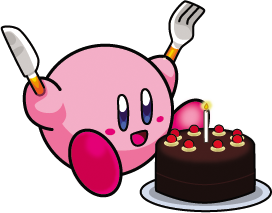 Good luck with your cake! Hi, my name is Laura and I work with Fox Chapel Publishing, a craft and woodworking book publisher based in East Petersburg, Pennsylvania (www.foxchapelpublishing.com). 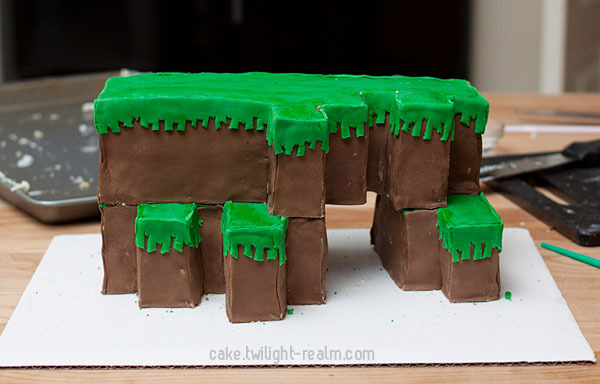 We are publishing a book on crafts inspired by the game Minecraft and are including an inspiration gallery in the book full of ideas for parties, baking, decoration, and other cool things you can make and do with ideas and images from the game. We’d like to source the gallery from creative people like you! 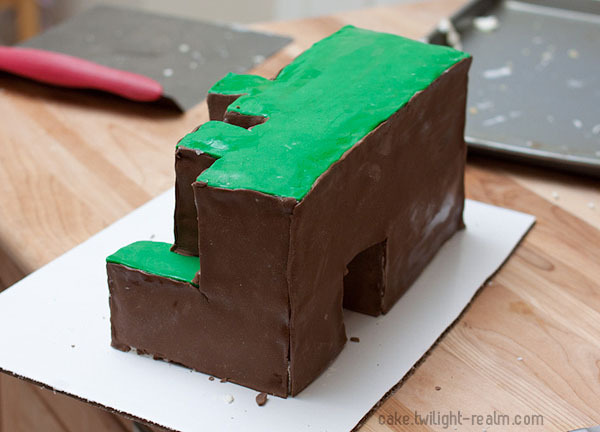 We saw the Minecraft cake on your site and loved it. We’d like to feature it in the gallery! Please contact me at my email address if you’re interested. This book will printed very soon, so if you could get back to me as soon as possible, I would greatly appreciate it. Thank you!